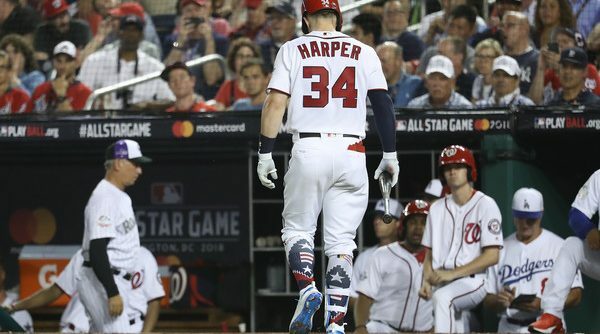 What should the Nats do with Bryce Harper? 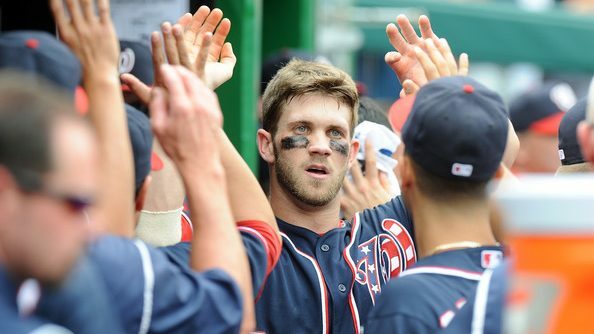 Coming into his walk year, he is posting some unusual numbers: .214/.365/.468. The OBP and SLG are good, if not a bit low for him, but that BA … wow. Is this the player teams are lining up to throw 10 years and $400m at? 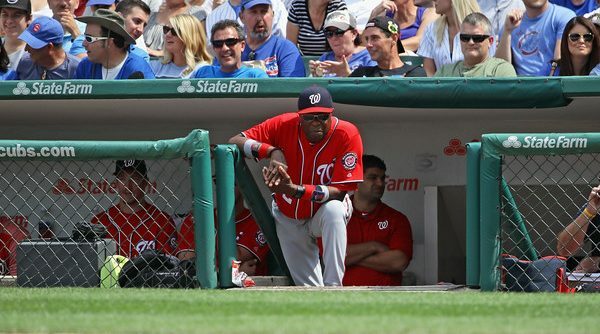 With the emergence of The Truth (aka La Verdad) Juan Soto, the off-season discussion is rather complicated. 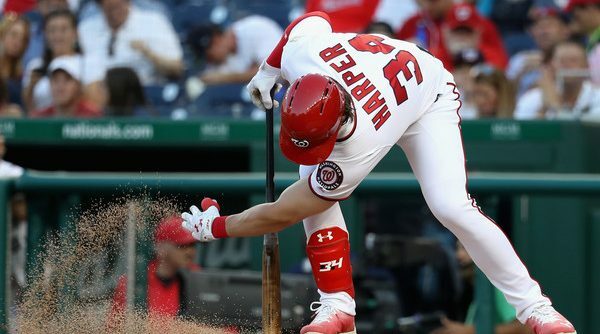 Before we throw Bryce out with the bathwater, how bad has he been, really? 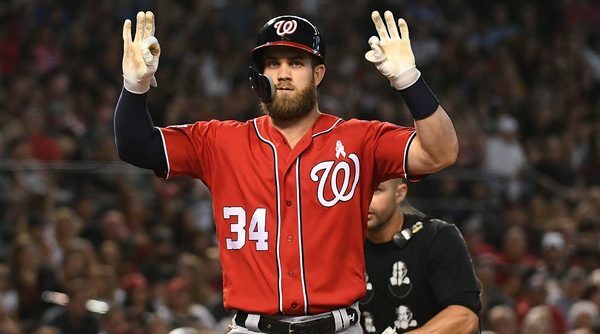 Is it just that he’s 2016 Ryan Zimmerman, waiting to blow up next year? 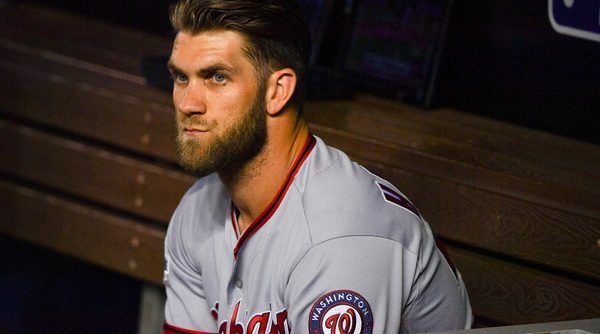 Bryce Harper has very good hair. Our compliments to his mom, who is clearly responsible for the golden thread growing out of our unseated MVP’s head. 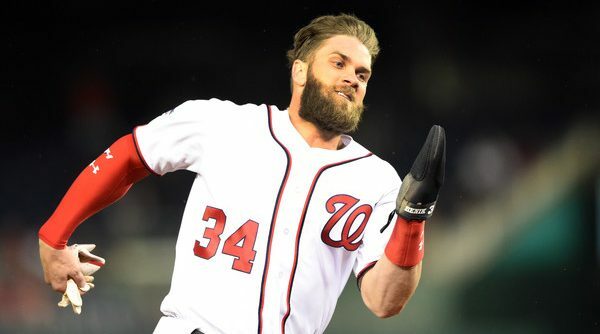 When his baseball career winds down in 237 years, and before he is inducted as the grand master of the Hall of Fame, he could probably have a long and fruitful career as a (hopefully not-creepy) Johnny Bravo impersonator. 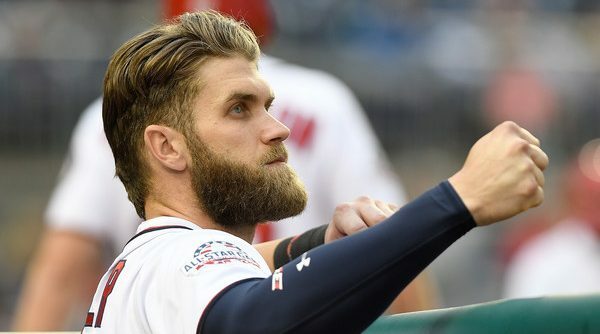 Bryce Harper got his hair done in Miami, posted a picture of it on his Instagram story, and the entire internet has decided this means another year without a Nats NLCS appearance. And well, we’re inclined to disagree, but it’s hard to really blame them. 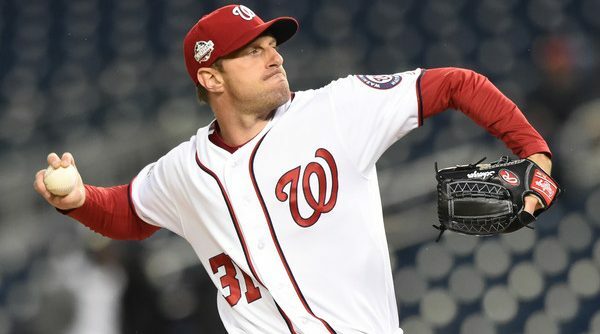 What happens when a baseball player is one of the best in the league at a certain skill set, a career building skill set, and then suddenly he stops doing it? Perhaps the answer is that a baseball demi-god becomes mortal.